Eight-Part Fugue – Curiosity cabinet. 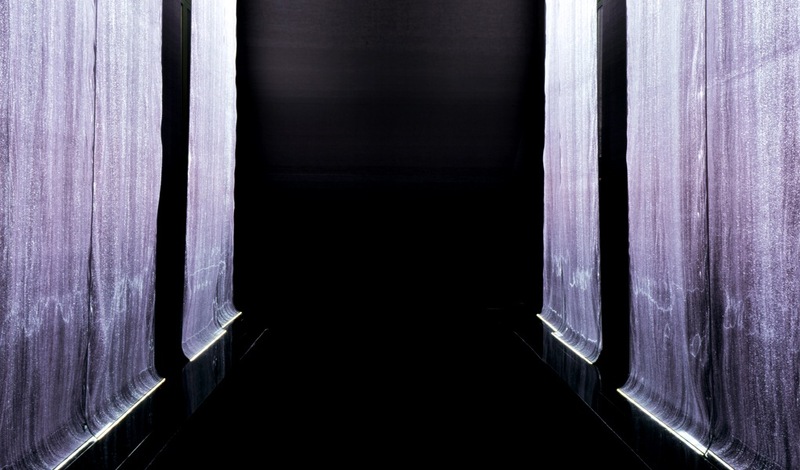 Eight 7-metre-high curtains made of optical fibre and a gradient of silk colours that can be opened and closed, with light intensity that can be adjusted electronically. In 2015, Brochier Technologies created EFI Lighting, a joint venture with EFI Automotive (ISO TS 16 949) automotive supplier, to develop and market Lightex® in the automotive industry. Light solutions for interior or exterior large-scale technical and artistic projects combining materials and light. Functional ambient and emergency lighting solutions in accordance with aeronautical standards (FAR 25 853). Customised, flexible and refined low-energy consumption solutions for advertising, billboards or events. Innovative light-emitting or sensor solutions: disruptive technological innovation, improved performance (reduced consumption, compact, etc. ), adaptability to extreme environments, etc. Functional ambient and emergency lighting solutions, for railway transport interiors and exteriors (EN 45 545). Autonomous, flexible, resistant and compact Very High-Visibility lighting solutions for personal safety and vehicle protection. Scientific lighting solutions from Lightex® technologies for growing photosynthetic organisms, and UVTex® for air and water decontamination by photocatalysis. Ambient, functional and emergency lighting for construction needs : light fittings, partitions, life lines, pathway lighting, backlighting, curtains, etc. In 2014, Brochier Technologies created the spin-off, NeoMedLight, to develop and market medical devices in the field of phototherapy. NeoMedLight is ISO 13 485 certified.